Ask anyone who was alive on November 22nd, 1963 where they were when JFK was killed, and they have an answer; that moment in time is preserved in Americans’ minds. 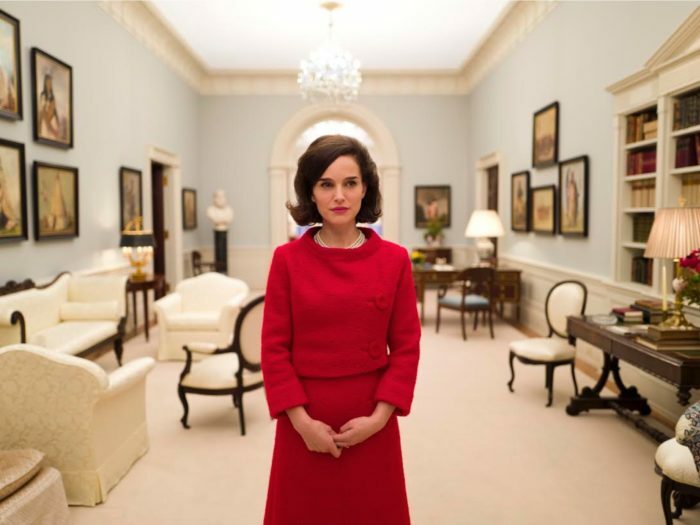 The new film Jackie, the first English language film by director Pablo Lorraín, gets into the mind of the most watched person in the country during that moment, and likely the least understood and most isolated: First Lady Jacqueline Bouvier Kennedy (played by Natalie Portman). From the first notes of music in the film, before any words have been spoken, the sounds of harp music melting into disarray forecast the convention turned disorder which we’re about to see. The film, which could easily be defined as a biopic, shuns the traditional format at every turn, instead mosaicking together time periods and creating a story as complex as a diamond, and as solid as one too. What is revelatory about this film — as opposed to all the other artistic iterations of the Kennedys’ history — is that it takes this historic moment that we all know and it zooms in as far as it can. We’ve all seen the images of Jackie Kennedy on the day her husband was shot and killed next to her — her bubblegum pink suit smeared in his blood — and we’ve watched the scenes of her marching in his funeral procession, her face mostly masked by a veil. 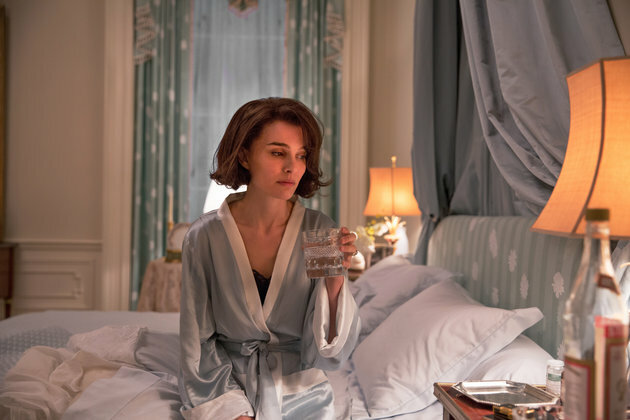 What Jackie does is get inside the moments that led to those now mythologized times, the intimacies unseen and only imagined. Jackie washing her husband’s blood out of her hair, Jackie drunk and trying on all the outfits that meant something to her once, Jackie packing up her children and their belongings to leave the house they must vacate now that John has died. 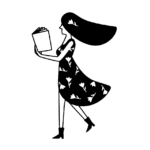 The more discreet point being made in the film is how this woman, left alone in the aftermath of a personal and national tragedy, demands her voice to be heard. While she is quieted by secret service members, politicians, the Johnsons (as in Lyndon B. ), and the Kennedys, she still pushes through her agenda of mythologizing and remembering her husband. Jackie models John’s funeral after Abraham Lincoln’s. Her thinking being that Lincoln is the only assassinated president who Americans remember, and she’s determined to add JFK to that list. 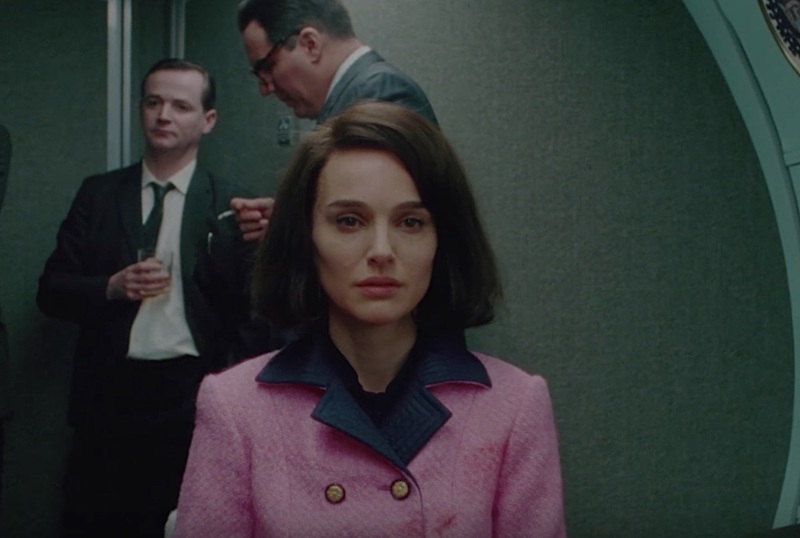 “Nothing’s ever mine, not to keep,” Jackie says at one point in the film and that sentiment carries through. While she loses her husband, her home, her status as First Lady, what she does have control over is the legacy they leave. And damned if she’ll let that opportunity go to waste. Jackie is now playing nationwide.